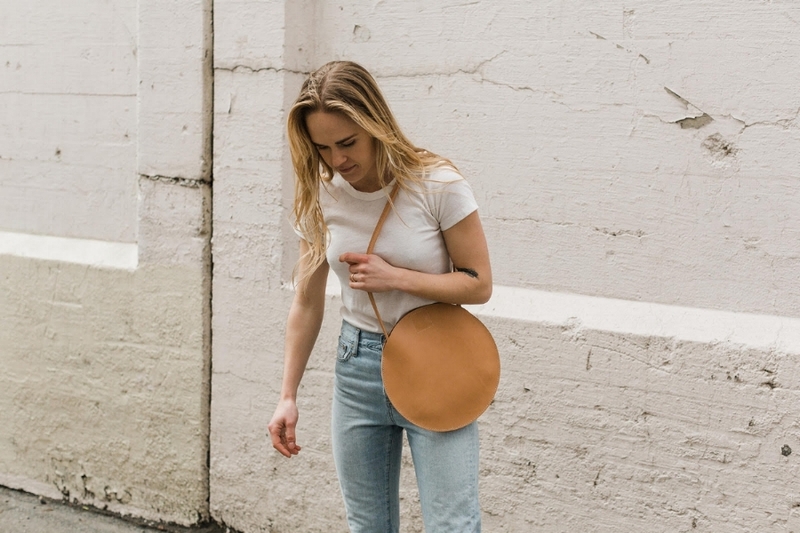 Teddi Cripps makes some the most delicious leather goods I’ve had the chance to experience. Delicious might be a funny word, but if you know me you know that I love artisan made goods as much as I love real food. The use of unadulterated, natural, sustainable materials (or ingredients! ), formed with skilled human hands. Delicious. It’s a dying art, but not if I have anything to say about it. As I’ve delved into this series featuring various makers, I’ve discovered that I’m far from alone in the desire for a slower way of living and consuming. We’ve lost the soul in so much of what we do and have, but, there’s a movement to claim it back. After some consideration, I’ve decided to focus this series entirely on women in business. Why? Because as a woman myself I need to hear the stories of women slaying in the business world. I listen to podcasts constantly and the ones that highlight women inspire me the most. This isn’t to say that there aren’t male artisans that inspire me. My first feature was a man, Ben Fife of Westward Leather who is legitimately one of the most awesome guys I know. That’s a really great read, btw. Find it HERE. Needless to say, womyn. Because it’s time. One more thing about Teddi. She first contacted me on instagram to inquire about whether I had a balm she could use that would help heal her hands. I was honored. When I finally met her in person she had the most warm, loving energy, and she’s stunning to boot. I’m in awe of the people I’ve come to know since starting H IS FOR LOVE. Below is a quote from the Hustle & Hide website, and a glimpse into the transparency under which they operate. 1.Tell us about what you do. What is your business or craft? I design and craft women’s leather goods and accessories (and soon to be a very small collection of clothing as well!). 2.What inspired you to begin? Honestly, the evolution of Hustle & Hide has been purely organic through and through. A few years ago, my husband and I moved to Spokane from California for grad school and I came across a piece of leather suede and an old leather working tool (that was my Grandfather’s). I ended up hand stitching a small suede clutch, posting a picture on Instagram, getting requests from my family and friends to start selling them, opened an Etsy shop and Hustle & Hide was born. What was going to be a mere hobby and side job while pursuing my career in psychology, ended up turning into my full-time passion and pursuit. All images courtesy of Hustle & Hide Co.
3. Hey, me too! I seem to hear that a lot from people doing what they love. Sometimes the most encouraging thing is hearing from others that they believe in what you’ve created. That doesn’t always eliminate the fear portion of taking that leap, unfortunately. Speaking of, what was the scariest part about starting your business and how did you move through that fear? The fear of failure, and entering into a whole new place of vulnerability. Allowing others into your creative space is always anxiety provoking, but one of the most profound aspects that has helped me move through the fear is honesty and transparency - both with myself, and others. 4. I feel like I’m learning that right now. When I get stressed, I open up. It’s counterintuitive, but it works. Plus it takes a whole lot of pressure off to just be honest. Since this is a female-centric series now, who is a woman that inspires you? My Grandmother. She has a drive and work ethic like no other woman I’ve known, and a strength that inspires me to the core. She raised me for many of my younger years, and instilled a confidence and resilience that has helped me overcome many of the obstacles that have surfaced since starting H&H. 5. What are some of the key challenges in running a business? Figuring out all of the in and outs of the business side of things (i.e. entity formation, bookkeeping, taxes, etc). I am so grateful for the mentors that my husband (Ty) and I have, that have come around us and helped us with the aspects of owning your own business that people hardly talk about - especially in the creative world. This is one of the largest misconceptions that I run into when talking to people about what I do - they often have a romanticized idea of my job, envisioning me designing and making beautiful things all day everyday, when realistically, at this point in our company, I’m engaging in the customer service, logistical details and business planning for hours and hours on the daily. Although these tasks can be tedious, I have learned to appreciate and love this side of things because I know that these aspects of what we do can make or break our company as a whole. They are vitally important to our success. 6. Yep. That’s the real stuff right there. It’s intimidating at first, at least it was to me. Having mentors and a solid team is a lifesaver! What has been the greatest reward in starting a business? The freedom and empowerment that flows from building something great from the ground up. I love designing and honing in and perfecting my craft, and the reality that I get to do it for a living is something that I try never to take for granted. There is always always always room for growth, personally and professionally, and I find this to be the most exciting part of what I do. 7. What do you want your business/craft to look like in three years? I want to push the tempo as far as I possibly can. What that looks like, I can’t be sure - but I want to harness the momentum we have built this year and run with it. We have grown by over 50% within the past six months, and I couldn’t be more excited about it. It has given me a desire to move past insecurities and doubts, and take more risks in a healthy capacity. 8. Right? Every time I see you post your production on instagram, or the lines of boxes you’re shipping on a given day, I’m floored. I’m blown away by what you guys are pumping out these days. And all while maintaining complete control of the process. It’s inspiring. How about a long game? Do you have a dream beyond doing what you love? Over the past few months, Ty and I have drawn out some clear long-term goals that have helped bring greater clarity to my vision for the company that much more. With leather bags being the foundation, I want to move beyond bags into a wholistic brand - incorporating clothing, and eventually shoes into the mix - with responsible/ethical sourcing remaining at the center of it all. 9. I love that. We’re very much aligned in that way. Tell us how have you feel you’ve grown since starting your business? How have I not grown since starting H&H is probably an easier question to answer (ha!). Above all aspects of growth I have undergone since starting H&H, the most profound is my ability to find gratitude beyond circumstances, and to let this gratitude change the way I handle situations and interact with others. It is easy to get doubtful and insecure in so many areas of running my business, but I know through experience the value of choosing gratitude above all, and letting that be my main motivation and drive to do better. What a perfect way to end this. GRATITUDE. I believe fully in gratitude mantras. They can change our internal world completely. They ca change perspective, and therefore our experience, and that of those around us. 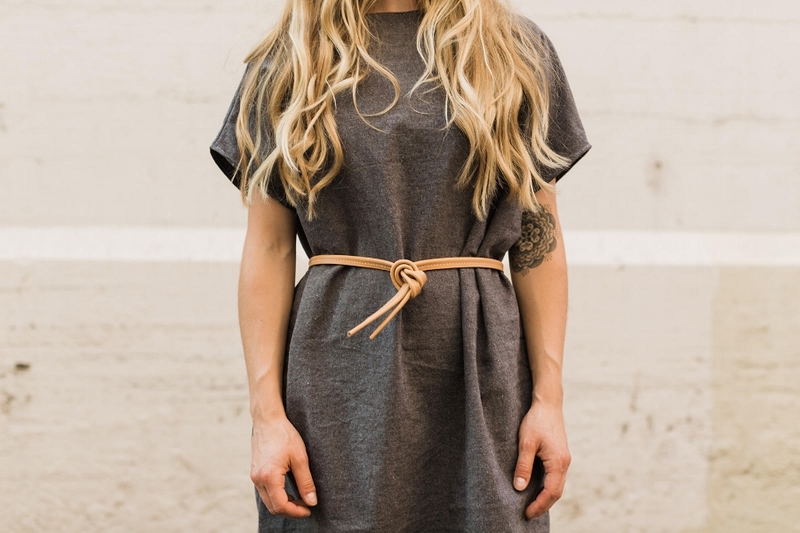 Although this series is focused on women in business, Teddi’s husband Ty is the other half of Hustle & Hide and they make an amazing duo creating gorgeous handmade pieces using sustainable sourcing.